Contact Mark for catering details. 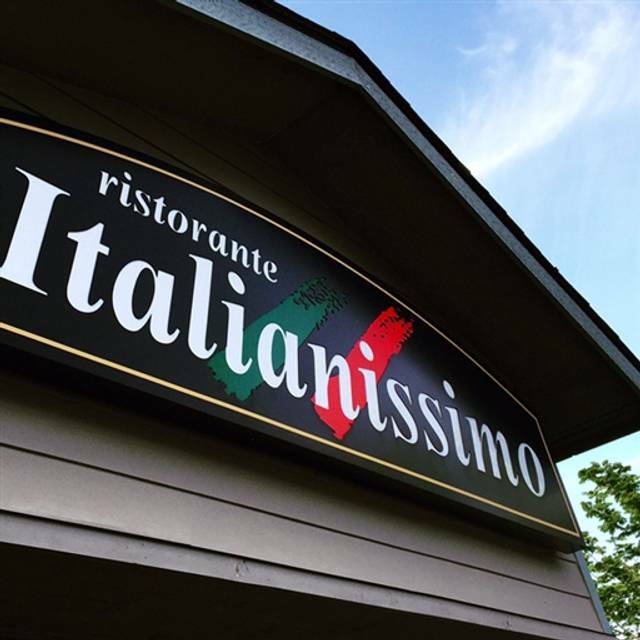 Ristorante Italianissimo has been the bastion of Italian fare in Woodinville, WA since the mid 1990”s. In March of 2015, the baton was passed on to the family that has helped make Italianissimo the success that it has become. Still family owned and operated, the restaurant has made a seamless transition from one family to another.The Italian philosophy of using fresh, local ingredients, prepared simply from scratch, is still being embraced-the freshest fish, the finest meats, home made pastas and sauces. The passion of the Italian people’s love for fine food can still be found here. Service not good, forget to bring appetizer. Problem with not writing orders down. 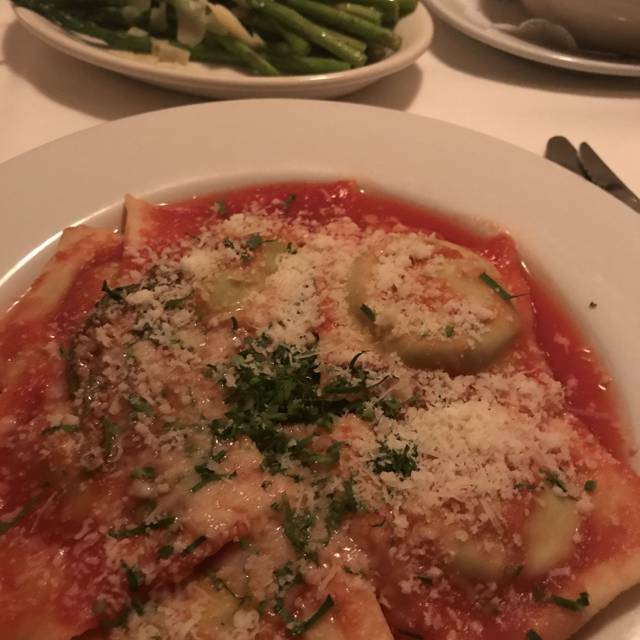 Back to our favorite Italian Ristorante! This is our go to restaurant these days. We absolutely love it. The shrimp scampi and veal Marsala are to die for. Absolutely wonderful as always! Food, service - everything was perfect. Pleasant location a little bit off of Woodinville-Duvall road, very nice decor and ambiance. Service was excellent, and the menu was wonderfully varied and delicious. We really enjoyed our first visit to Italianissimo. The few was excellent, wine list was nice and reasonably priced and service was great.....overall, we had an excellent experience. We went here for my husband's birthday. Our sitter cancelled last minute so we had to bring our toddler with us. They were very accommodating with that change in our plans. This was our first time there and the ambiance was cozy. There were 2 main dining rooms and the bar area. We had the special, kids mac n cheese and the steak wrapped in pancetta. All were very tasty and hearty. The steak was probably a bit on the rarer side than my spouse preferred, but overall it was delish and will go back. The cocktails were really good and the right price. But they also had beer and wine. 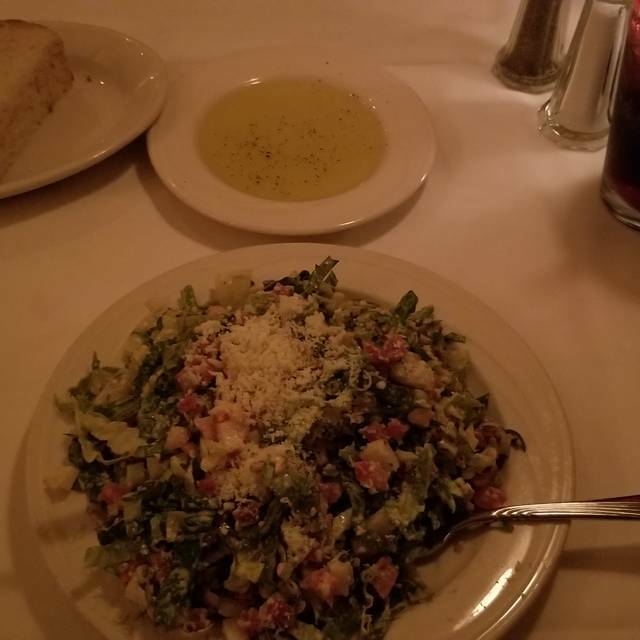 We did have the spinaci salad and cup of shrimp bisque-also very flavorful. For dessert I had their custard which is most like flan. The service was probably the only downside. She started off strong by asking if we had menu questions and took our drink order, but it was quite some time before we saw her again to give our dinner order. The water and bus boys were super friendly and attentive. Das Essen war super lecker und auch vom Preis/ Leistungsverhältnis wars echt gut. Ansich ist es etwas dunkel in dem Restaurant. Been there many times and have always been totally satisfied. Love this place! Food is always good! Italianissimo is one of our favorite restaurants and we have been here many times in the past. The service is outstanding, the meal preparation is just perfect and the atmosphere is great. Our waiter was James and he has stayed right on top of things both times he's waited on us. He does it all with humor and that's definitely not always the case when a restaurant stays as busy as this one does. We were pleased to bring friends who'd never dined there on this occasion and they said they'd definitely be back. We will be, too! Thank you! Jeff was very attentive and friendly. Italianissimo has really good food, but it is a little pricey. However, it is one of the few places in town with beef carpaccio appetizer. Check out the daily risottos and specials including crab ravioli. Really good food! I will definately eat there again. This was our first time and we were all very impressed with our meals. We are looking forward to returning. Love this place we regularly attend with friends, hope you don't change a thing! 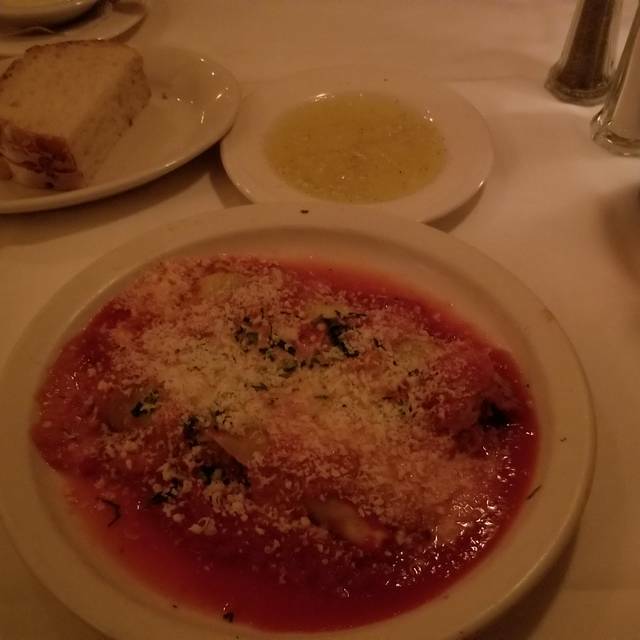 Excellent food from our homemade sausage for table appetizer, our salads, our caprese, our meals of spinach ravioli, eggplant Parmesan, chicken piccata and wine. Fabulous service, nothing was overlooked. My favorite restaurant. I brought a group of 4 friends for dinner and was greatly disappointed. Our server did not go out of her way to ask for salads or soup when we placed our order and two of my companions had to request things from her. I realize people have bad days but if things are that bad do not ruin our night. We spent over $400 with drinks before dinner and wine at dinner to come away unsatisfied. The food was good though and service in bar prior to dinner. It was our first time to Italianissimo in quite a while. The food was as delicious as ever and the service was great. We won't wait so long to go back next time. As always, our dinner at Italianissimo Ristorante was superb! This restaurant has become our favorite. And we had invited friends to join us this last time and they agreed it was excellent. The restaurant was pretty empty on a sunday. The food order took a while to get to our table but it was very delicious when we were able to eat. Italianissimo is the perfect neighborhood restaurant. Really yummy food (Chicken marsala: perfect, spinach salad: delightful, salmon special: the envy of the table), super helpful and friendly staff and a nice quiet place with real tablecloths! Great food. It's a little dark, so bring a light and your reading glasses for the menu if you're over 30. Our experience was very good. I was even able to pick something from the appetizer menu and turn it into an entree. Good food, Good service. We moved out of the area and have not eaten here as often as we used to but we'll probably make an effort to come back more often. So glad I found this gem! The food was the best Italian I've had in ages. The chicken marsala was so good that I was tempted to lick the plate clean (I didn't!). It was the real deal, not the crap they pass off at that place with unlimited bread sticks and salad. My lunch mates enjoyed their food as well. The prices were very good and I'll be going back here as often as I can. Great neighborhood find. Full service dinner in the bar was great. We came as a celebration of my husbands Birthday. He LOVES Italian food. The service was great and the food excellent. Their Wilted Spinach Salad is especially good. My husband said the Chicken Ptarmigan was excellent. We had a great meal and service. Our waitperson was Casey and he was extremely knowledgeable and attentive. We will definitely continue to support this restaurant. This was our first visit but definitely not our last! Excellent restaurant for Italian delights. All the pastas we have tried have been delicious and fresh, tender with just the right amount of sauce. Salads are also wonderfully prepared with fresh ingredients and lovely dressings. Service is pleasant and professional without being too attentive or delinquent. A real gem of a restaurant! We wanted to go out and spend time together, but didn’t want to drive into Bellevue or Seattle. We had been to italianissimo in the past and decided to see what was new. We made reservations on Open Table because it’s hard to get a table on the weekends because it’s a popular place! Everything was great from the starter salads to the take home dessert. The service was flawless. We’ll be back soon! Food and service are always consistently great. We have tried many different items from the menu and have never been disappointed. We've introduced friends and family to the restaurant and all have loved it. Parking is horrible - always. Snow made it worse but even in the summer parking is the worst.